San Jose Chain Link Fences | Bay Area | A-1 Fence Inc.
Give us a call today today to schedule the quality services you deserve! We are a locally owned and operated company proud to be serving you! “I highly recommend these guys at A-1 Fence." A-1 Fence Inc. has been reliably serving the Bay Area with more than 40 years of experience. Our extensive time in the fence business allows us to work fast and efficiently so that you receive outstanding results in as little time as possible. Schedule repairs, maintenance, or installation services with our Bay Area fence company by calling us at 408-259-2955. 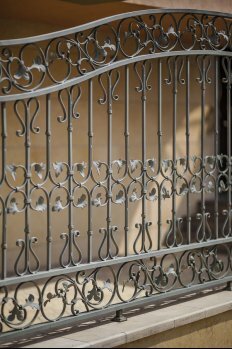 From chain link to ornamental iron fences, we focus on providing you with quality, speed, and competitive prices and we dedicate ourselves to getting the job done right from the start. Our staff members arrive on time and we work tirelessly to help keep to the timelines that we provide you with. We also keep you in the loop throughout the process so that you are updated on the status of the project. Our company is fully licensed, bonded, and insured. You can trust your property in the hands of our qualified professionals. We know that unexpected situations can arise and that is why we have emergency services available to you. With our trained staff standing by, you never have to worry about what to do in the event of any unforeseen circumstances. At A-1 Fence Inc., no job is too big or too small. We work in all types of settings and provide a wide variety of fencing options to fit your needs. As a family run business, we provide personalized services and treat you as more than just another customer. Contact us at 408-259-2955 for a free estimate and to schedule a service with our capable team members today!